Mitsubishi is here with its all new version of the bestseller Mitsubishi Outlander Sport SE 2015. Expanding its Outlander line-up company has taken utmost care to keep the goodwill of this image and thus has adored it from increased refinement, style and interior technology. 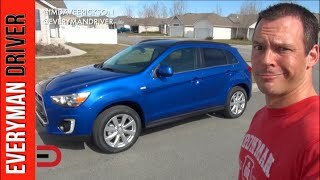 Let us have a look at the review of Mitsubishi Outlander Sport SE 2015 and see what all updates and upgrades it has inside and out. Interior of Mitsubishi Outlander Sport SE 2015 is loaded with upgraded comfort features and technological advancements in it. The first thing inside grabbing your attention is the newly housed display audio screen that can be upgraded to 7-inch MMCS navigation system at a little extra cost. Over your heads is a huge moonroof adding stars to the long ride fun. Steering wheel comes wrapped in leather accompanied by shift knob. 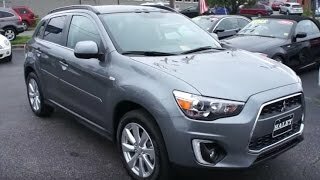 Adding to the features inside Mitsubishi Outlander Sport SE 2015 you have rear view camera, heated front seats, auto on/off headlight control, rain sensing wipers, one touch start/stop engine and much more making this a mile ahead of its predecessors. 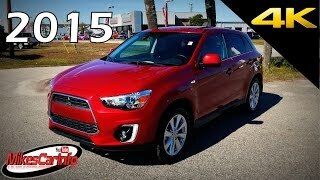 Though we didn’t noticed enough changes in the exterior of Mitsubishi Outlander Sport SE 2015 but the few inculcated commendably add to the glory. Upfront you have single frame grille with chrome trim and accents of body color adding to the sporty look. Wide LED headlights sit above the fog lamps that come integrated in the lower fenders. 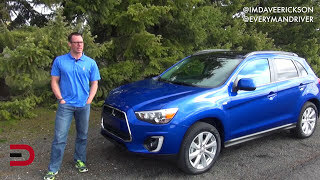 The entire package of Mitsubishi Outlander Sport SE 2015 exterior rumbles over the all new 18” alloy wheels. In all we found the exterior attractive and can be made more sporty with series of packages that company is offering. All you gotta do is, take a few more pennies out your pocket. 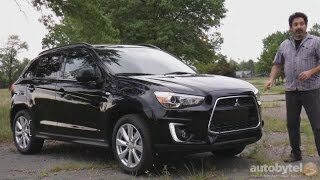 The Mitsubishi Outlander Sport SE 2015 get its power through a new 2.0 Liter 16-valve four-cylinder engine delivering total output of 148 hp and peak torque of 197 nm paired to five speed manual transmission. Engine is highly efficient with its fuel consumption figures being 25 mpg city/32 mpg highway when you are riding the front wheel drive model. In case of All Wheel Drive the figures fall to 24 mpg city/30 mpg highway.